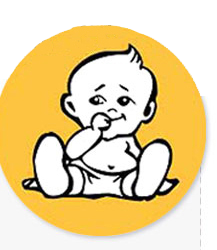 In the decade or so since the Lehrburger and Little studies (see “Which Is Better for the Environment?”), the debate on the diaper issue seems to have all but died out. “The only thing new in the debate is that it’s not a profound debate at this point,” says Janet Primomo, RN, PhD, a member of the King County Nurses Association in Seattle, which initiated a series of projects in 1987 to educate parents and policy makers about choices in diapering. Today, less than one out of ten American and Canadian households uses cloth diapers, estimates Erika Froese of Mother-Ease Diapers. Cotton Incorporated reports a 35 percent decrease in the number of cloth diapers produced in the first six months of 1997 versus 1996. Moreover, diaper services have dwindled from about 400 nationwide in the late 1980s to less than 150 today, according to Brian Smithson, president of the National Association of Diaper Services. “Diapers in the late eighties became symbolic of the interest in environment, and today the pendulum has swung,” says Primomo. As the market share for diaper services has diminished, their advertising budgets—never formidable to begin with—have shrunk to almost nothing, while the big disposable diaper manufacturers continue to get bigger. With fewer diaper services, it has become more costly for them to service existing customers, and service to outlying areas is no longer economically feasible. At the same time, the proliferation of generic-brand disposables in the market has driven prices down, making disposables more affordable. Meanwhile, disposable diapers are continuing to take up more landfill space, as children stay in disposables longer, and an aging adult population begins to rely more on adult incontinence products. With people recycling more paper and plastic at curbside, disposable diapers have gone up as a percentage of solid waste in landfills. In Seattle, disposable diapers have increased from 2 .5 percent of all residential waste in landfills in 1988—1989 to 3.3 percent in 1994—1995, according to the Residential Waste Stream Composition Study by the Cascadia Consulting Group. The solid waste issue is a compelling argument to bolster support for cloth diapers. According to Rick Froese of Mother-Ease Diapers, in a model program in Europe the cloth diaper industry has convinced certain cities in Germany and Austria to subsidize the cost of cloth diapers. Their argument is that each child in disposable diapers costs the city roughly $400 in municipal waste costs (one and a half to two tons of disposable diapers per child multiplied by about $250 per ton to dump). The municipalities have responded with coupons of $50.00 to $100 per family toward the purchase of cloth diapers, and as a result, cloth diaper usage in certain areas in Austria has increased from almost zero to 40 percent or more. Although garbage costs are higher in Europe than in the US, Smithson’s Baby Diaper Service in Seattle has won grant money for several years from Seattle Solid Waste to subsidize the cost of the diaper service for low-income families, arguing that it’s cheaper to pay a diaper service than to haul the waste away. Another area where the cloth diaper industry might be able to make inroads is with hospitals, which incur considerable garbage costs. Baby Diaper services 12 hospitals in the Seattle area; however, “It’s a losing proposition for us,” says Smithson. Disposable diaper manufacturers, just like formula companies, give away their products to hospitals to gain new customers. Diaper services, even at a much lower cost, simply aren’t able to compete. Smithson estimates that 75 percent of the hospitals in the country use disposable diapers.